Mr Carstens, has the current growth cycle peaked for the global economy? If so, what can we expect now: a kind of normalisation with strong growth or an economic downturn? There have certainly been a few negative surprises lately in different parts of the world, in particular in Europe. But we still have a very strong undercurrent of global growth. We have rarely, if ever, seen an upswing as synchronised and as evenly distributed across countries and regions as the current one. World trade too has picked up despite all the obstacles, and that is a good early indicator for global growth, above all in emerging market economies (EMEs). So, are concerns about a collapse exaggerated? There is at present no reason to overstate or dramatise the latest signs of a cooling-down of the global economy. The fundamentals in the advanced economies continue to be very good, and the external environment for many EMEs is improving, not least owing to the increase in commodity prices. Another positive factor for global growth in the coming quarters will of course be the very expansionary fiscal policy of the United States. There may be more uncertainty in the future, but for this year and indeed also for 2019 we can expect strong growth worldwide. Where do you currently see the most serious risks for the outlook – in a sudden correction in the financial markets, geopolitical risks, or an escalation of the trade disputes around the globe? We are certainly facing a series of geopolitical risks that are giving cause for concern. That’s a task for politicians. As far as financial markets are concerned: in some sectors there are exaggerations in the form of overvaluations, of corporate bonds for example. No one should be nonchalantly dismissing the possibility of a sudden, strong market correction, together with an unexpected tightening of financing conditions. Such a tightening doesn’t necessarily have to come from the central banks, as has often been the case historically. It can also result from major players like asset managers changing their investment behaviour, for instance as expectations evolve. This could lead to snapbacks in long-term rates, above all in sovereign bonds, or to higher corporate risk premia. That would of course not be without consequences for growth, particularly in countries with high private and corporate sector indebtedness. Indeed, one of the worrying things we have seen since the crisis is that, globally, debt-to-GDP levels have continued to increase. But by far the biggest concern for me at the moment are the trade disputes. I can’t recall there ever having been, over the past decades, such a great uncertainty over the future of trade. The United States is currently in conflict with a number of countries and regions over trade. We have to wait and see how the situation progresses and how exactly it will pan out in the end. But one thing is certain: a major trade dispute would have incalculable consequences for the global economy. Just think of how closely interlinked worldwide production value chains are. It could quickly damage innocent parties. Already the discussions are having negative repercussions, for example for investments. Many decision-makers are unsure whether the current rules of the game will still apply in the future. That is very dangerous. Above all, it’s the US and China – the two biggest economies in the world – that are in a clinch. It makes absolutely no sense to attempt, in bilateral trade with a country, to reduce a deficit administratively, or to force such an outcome. The balance of trade is the result of fundamental aspects and the independent decisions of consumers and producers. Also the US’s demand that China cut its surplus by $200 billion in a short period of time is hard to conceptualise intellectually. Not that I wish to condone this demand, but even if the will to take such a step were there, it couldn’t really be done. Does that mean you fear a further escalation? We have to wait and see. In principle, though, I find it extremely disturbing that solutions are being sought bilaterally. We have invested a lot of effort in building multilateral institutions to deal with such disputes. In the case of trade, there’s the World Trade Organisation. Those are the proper forums for resolving such problems. I hope that, in the end, all parties recognise the value and the enormous advantages of free world trade. Is there even a threat of a currency war? One thing I can say with a high degree of certainty: no central bank is at present pursuing a policy aimed at gaining a marginal edge on the trade front by artificially depreciating its currency. And rightly so. A currency war would, like a trade war, mean only losers. A bad trade deal can, however, result in exchange rate adjustments – which can be wrongly interpreted as a deliberate response to that deal, but it isn’t. Look at Mexico – a case I’m of course familiar with. When President Trump announced the move to limit imports from Mexico, the peso depreciated. But that didn’t mean that we, the Mexican central bank, intervened and manipulated the exchange rate. Rather, what we were seeing were the usual adjustments that take place in a floating exchange rate system. Particularly in the advanced economies, inflation is still relatively low. The International Monetary Fund is now warning of the danger of a sudden increase in inflation rates, which could force central banks to normalise more quickly than hitherto expected – first and foremost, the United States. Do you share this concern? The level of unemployment, which is very low in many countries, should actually be pointing to distinctly higher wage growth and quickening inflation. But that hasn’t happened yet. Our studies indicate that the reason for this is that there have been structural changes that have led to less inflation than previously. One example is globalisation, which is reducing the market power of firms. In addition, there is more competition in labour markets, so that there are fewer calls for big wage increases. And a final case in point is technological change, which is lowering the costs and prices of many goods. But all that’s not going to go on forever. …with the result that inflation can suddenly go up again? At least as regards the advanced economies, I don’t currently see a high probability of a sudden jump in inflation that would force central banks like the US Federal Reserve to tighten monetary policy much more energetically. At the same time, one shouldn’t forget that monetary policy takes effect with a lag. So it’s wise and right that the Fed and the other central banks have been following a step by step approach to making their monetary policy less expansive. They should not deviate from this prudent course of normalisation. Haven’t we seen a kind of deflationary mindset taking hold, possibly even among central banks, in the years of very low inflation, so that the probability of inflation going up is being underestimated? Some experts are going so far as to declare that inflation is “dead”. Whenever that type of talk so much as emerges, we quickly get the opposite result. There are reasons why low inflation is a phenomenon, and they should be set out clearly. However, there is no reason to assume that inflation will no longer rise. If the central banks aren’t careful, we could very quickly end up with higher inflation rates again. The central banks must be on their guard. In the United States, for example, inflation is not that far off its objective, and in the next few months it is likely to go up further. It would be totally irresponsible to declare that inflation has been conquered for once and for all. The Fed looks prepared to tolerate an overshooting of its 2% inflation target – after inflation being below target for years. Is that a wise strategy, or is there a risk that the anchoring of inflation expectations at 2% will be lost? I am not sure whether they are prepared to do that, in fact. As a rule, the credibility of central banks is of the essence and the most valuable commodity that they have. I absolutely advise against putting that credibility at risk. In the US there is the added factor that a very expansive fiscal policy is being pursued. Most macroeconomists would claim that that stimulus is inappropriate given the economic cycle. Naturally, it is very difficult, if not impossible, to steer inflation precisely. At some point, there might be some overshooting. However, I would not in any circumstances declare an overshooting to be an inflation objective, nor would I tolerate an overshoot lasting too long. Such a strategy might undermine the commitment to keep prices stable. The consequences might be far-reaching and devastating. In exiting from ultra-loose monetary policy, many central bankers currently look like they prefer to err on the side of caution and act slowly instead of too boldly and too quickly. But doesn’t that entail risks? Yes, that’s right. Exiting too late and too slowly entails major risks. There’s no doubt that the economic upswing after the global financial crisis was quite modest by historical comparisons. There are fundamental reasons for that. But it’s understandable that everyone wants to wait until the recovery is consolidated. When there is enough evidence that that is the case – and that point now appears to have been reached – the central banks should, as needed, act more decisively on the inflation front. If central banks wait too long for a turnaround, it will only increase the risk that they will later have to take countermeasures all the more abruptly and aggressively. Furthermore, in the modern era, central banks have never pursued such an unconventional monetary policy, and certainly never for so long. This policy needs to be reversed. Should the consideration that central banks will also need room for manoeuvre for the next downturn not be playing a greater role in the deliberations over normalisation? If the central banks normalise their monetary policy gradually in order to give themselves monetary policy leeway before the next downturn, it would certainly be a very welcome development. A very expansionary monetary policy over a long period of time, an extremely high level of debt worldwide, and overvaluations in some financial market segments: aren’t we now faced with a scenario similar to that prior to the outbreak of the global financial crisis in 2007, and aren’t we repeating the same mistakes? Many of the most immediate causes of the financial crisis have been fixed. The banking system today is much more robust and better capitalised than it was back then. In most countries, the banks have also adjusted their balance sheets and are generally acting prudently, for example as regards the riskiness of their portfolios. In addition, the non-bank sector is being monitored more closely. All that is positive. Admittedly, there are some securities and other assets that are overpriced. The authorities must follow this very closely. But I wouldn’t say that this is a harbinger of the next crisis. In the United States, central bankers are openly debating about raising the 2% inflation target or switching to price level targeting instead of inflation targeting. In essence, the aim is to explicitly compensate for targets being missed in the past. After the global financial crisis, is it time for fundamental changes to mandates, objectives and strategies? In my opinion, it is still too early to decide on fundamental changes to monetary policy, such as new strategies or inflation targets. The central banks must pay careful attention. It takes years to build up credibility, but only a very short time to destroy that credibility! I am loath to compare the US or the euro zone with Argentina. But that country can serve as a cautionary example. Its central bank has raised its inflation target, triggering a very complex situation. The 2% target has ultimately served us well, and for the time being I don’t see any compelling reason to raise it. And what is your opinion of price level targeting? That is similar to overshooting the 2% target. If in the past the objective has been clearly undershot, one would have to strive for a marked overshooting and thus much, much higher inflation. I don’t think much of that. As I said, on the one hand it is a matter of credibility. On the other, if inflation is kept low through for instance technological advancement, one no longer has to artificially strive for more inflation. A switch to price level targeting makes no sense in my view. Will large-scale bond purchases and negative interest rates become the “new normal” of monetary policy in the future, or will there be a return to the pre-crisis status quo? I don’t think that central banks will go back to the exact same situation that prevailed before the crisis. It is for instance very probable that the equilibrium rates are lower today than previously, on account of demographic change and other developments. That of course has an impact on monetary policy. There is also no denying that we now have “real-life experience” of dealing with such instruments. If they are needed, they should be used. They should, however, be used only in exceptional circumstances. Let me put it this way: central banks’ toolbox is better stocked than it was before. But central banks should not be over-eager, or “trigger-happy”, to use all these instruments. They must let discretion prevail. You were recently very openly and bluntly critical of the rapid rise of cryptocurrencies such as Bitcoin, castigating Bitcoin as a “combination of a bubble, a Ponzi scheme and an environmental disaster” and warning against cryptocurrencies “piggybacking on the same institutional infrastructure that serves the overall financial system”. In an op-ed for Börsen-Zeitung, you were again very critical. Are you worried that such currencies might undermine trust in money in general? There are many worrying aspects to these cryptoassets, as I prefer to call them. Many people don’t in the slightest understand what cryptoproducts are about and what they are investing in. The extreme price volatility shows how fragile these constructs are. First of all, the authorities have a responsibility to the consumer and for investor protection. This of course also means the central banks, which issue real currencies. They have been building up trust for centuries. Cryptoassets cannot hold a candle to that. But can that have a negative spillover to traditional currencies? Some experts are even predicting that the next major crisis could well be one that affects the monetary system per se. There are certainly examples of traditional money not working. In most cases, that was down to abuse of the possibility of creating money out of nothing. In the case of cryptocurrencies too, a lot of people are trying to create money out of nothing. Against that we can say that good money is good money and will remain good money for as long as the central banks fulfil their responsibility and justify the trust that has been placed in them. That is why we insist that central banks always act prudently. But if a country, through its acts, undermines the trust in its currency and monetary institutions, it must suffer the consequences. Do cryptocurrencies like Bitcoin also represent a risk to financial stability? In principle, cryptoassets can indeed pose a problem for financial stability, but I don’t see that happening just yet. The decision-makers nevertheless have to keep the matter firmly in their sights. Does that mean that a specific form of financial regulation is needed for these assets, as the G20 has already contemplated? Central banks and supervisors need to focus in particular on the interlinkages between cryptocurrencies and real currencies. It’s crucial that the rules of the game are the same for everyone. The same risks, the same rules – that has to be the motto. Without exception! 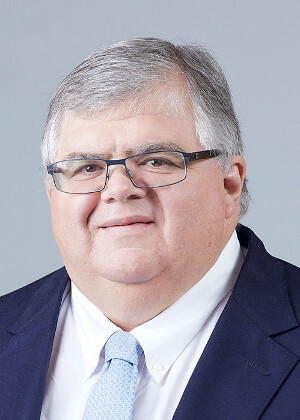 Agustín Carstens is General manager of the Bank for International Settlements in Basel.